Our mission is that what your child learns will help foster a relationship with Jesus that will last a lifetime. Relationships are the central component of everything we do. Research tells us that relationships your child will form on The Block with adults and teens will help solidify their faith into adulthood. We are committed to being partners with parents. We value parents as the primary spiritual leaders of their kids. You as parents have the most influence. We want to partner with you so together we can have a greater impact. 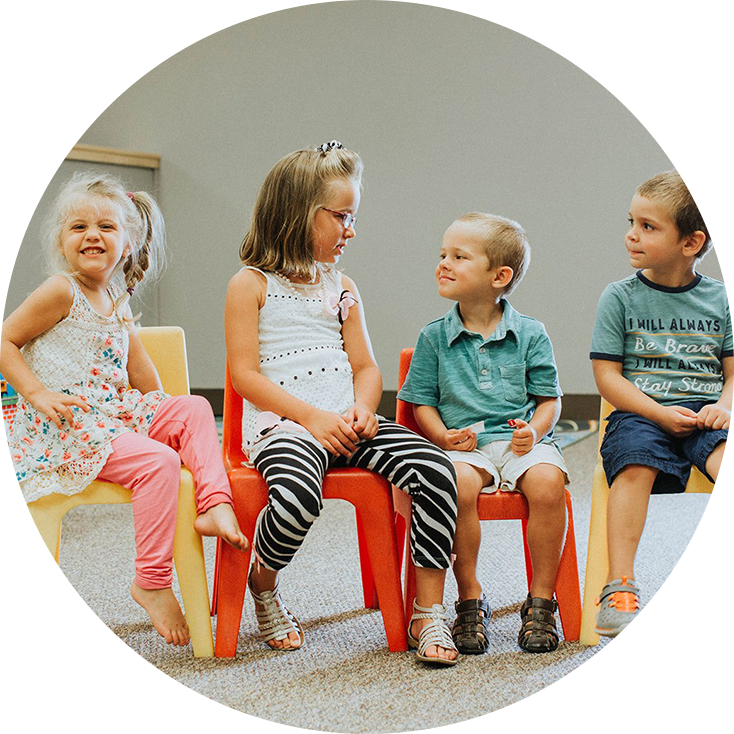 We partner by providing resources and support so that during the week you have the tools to aid your child's spiritual development, tools that help you have intentional conversations that fit into the rhythm of your everyday life. Stop by The Block during our Sunday Services and we'll give you a tour of our facilities and opportunity to meet our awesome children's volunteers. Stop by our check-in station and register your family. You can then use our self-check in area to check your kids in to the Block quickly and safely every Sunday. Our team members have the opportunity to have a powerful influence on our youngest generations. Sign up for the chance to hang out with and encourage our kids in growing in lifelong faith!